Paul Bray explains the key differences between visualisation and simulation and how AV technology is allowing an industry sector to design and test solutions to the highest standards. You’re feeling drowsy. You’ve worked a long day on the construction site but you insisted on driving all the way home instead of staying in the B&B the company booked for you. The car lurches, rousing you with a jolt. But soon you’re nodding again, your vision is clouding over, sounds are getting muffled, until you wake with a start and… Bang! Too late to avoid that truck. It’s frighteningly realistic, and it’s meant to be. Although we tend to call these things “simulators”, in a technical sense simulation is what is happening behind the scenes. 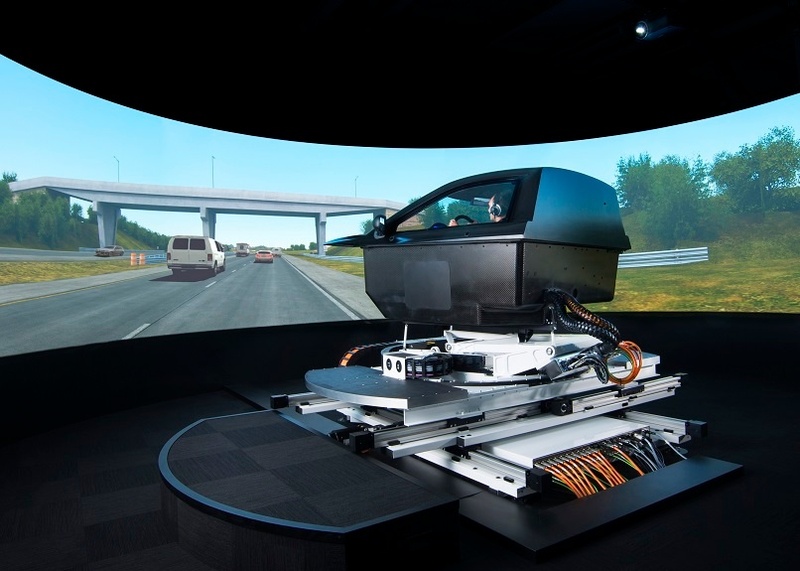 Although many simulators exist mainly for the user’s benefit, in terms of training and experience, they also enable users’ reactions to be recorded and assessed. The ability to measure live drivers’ responses to a car while it is still on the drawing board, for example, is hugely attractive to motor manufacturers, says Phil Morse, a technical specialist at Ansible Motion. Read the complete article on the AV Magazine website.